Convenient location with excellent food. 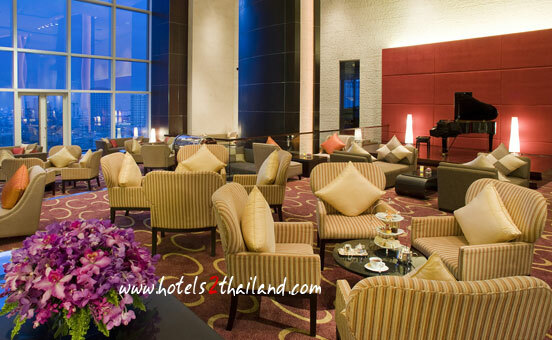 Centara Grand Bangkok Convention Centre at CentralWorld is in the very heart of Bangkok is shopping and business district with easy access by road and via the BTS Skytrain. This five-star hotel the flagship of Centara Hotels and Resorts is therefore ideal for those shopping sightseeing or on business. At 55 storeys the hotel offers spectacular city views from its guestrooms and restaurants and provides a satisfying blend of city living with resort-style facilities. A complete lifestyles complex on the 26th floor includes the awardwinning SPA Cenvaree along with a fitness centre tennis courts and an outdoor pool with sundeck. 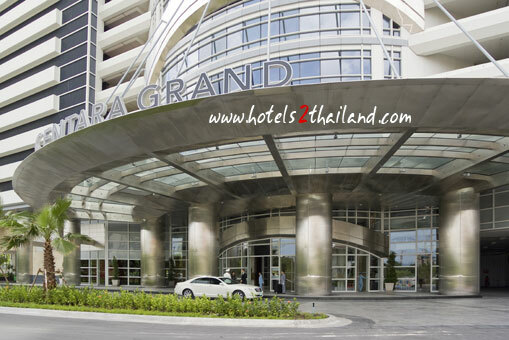 The hotel has direct access to the Convention Centre and also to a big-big shopping centre, which is very comfortable if you are in Bangkok for an event in this location. The pool and spa area are also very nice, and quiet. 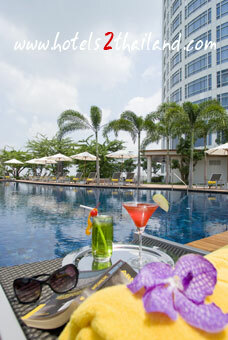 The sky bar is a must, great views, be sure to go between 5.00 and 7.00 for cocktails to watch the sunset over the city. Our room was small but designed to highlight the view and maximize the space. 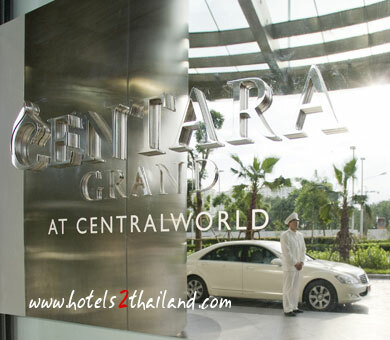 We stay at the Centara in our part of the holiday. 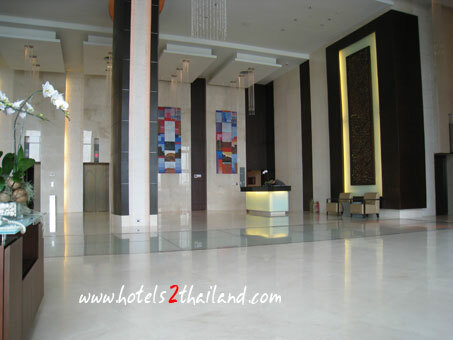 Hotel is located in a convenient location with easy and traffic from the train or walking, etc.. 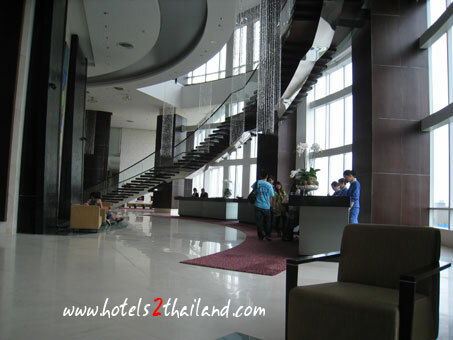 The hotel is a seminar hotel as it's always busy and need to wait for the elevator. 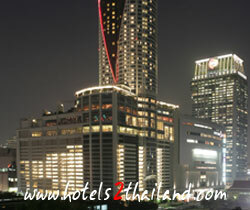 3 night stayed, we will enjoy a good quality restaurant in the hotel if you do not want to go out, Red Sky Bar and restaurant on the roof top are great (a bit high rate) and it's views of Bangkok was great. Good service and staff were ready to assist you in everything. We encourage you to explore the hotel because you will see a pool, spa and gym on the main floor, which is great if we come found it earlier! Hotel is nice, but the rate is also high. Stayed 3 nights in deluxe club room with fantastic city views. Paid slightly more for club privileges but well worth it. Teenage son had access to food and drinks whenever while we shopped in peace since club lounge served meals 5 times through the day. also complimentary wi-fi in club room kept him entertained and happy in the room. generally service was personable and staff attentive . Enjoyed the clean room and convenient location and would return again.